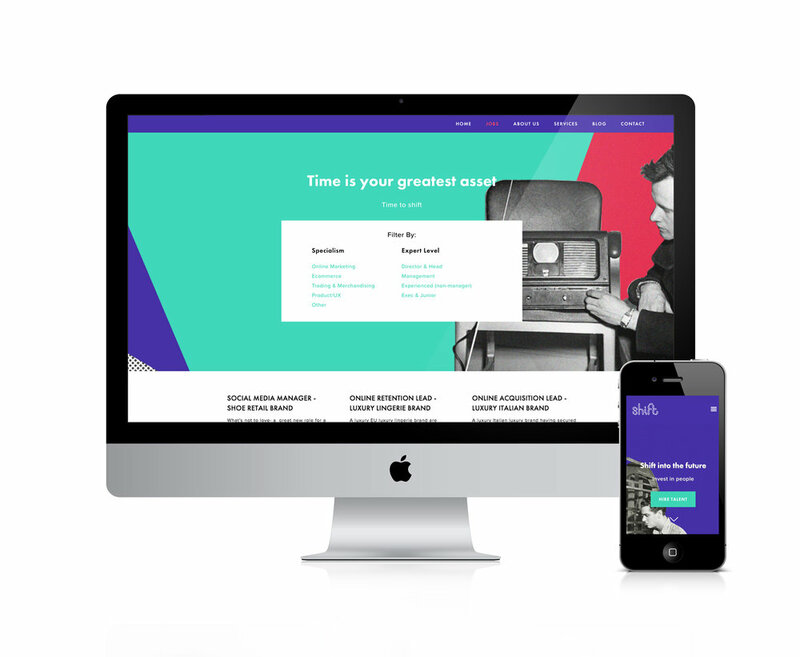 Last week we launched a new site for Shift recruitment, a London based Boutique agency specialising in the digital and e-commerce sectors. This was a real collaboration throughout the process, Adrian had a strong vision of the message he wanted to convey relating to the shift in the market. We used a mixture of vintage photography and patterns to create bespoke collages for each of the banners on the homepage. We also used video motion background for the homepage and contact page to really enhance the visitors initial experience on the site. If you are a recruitment company looking for a new Squarespace site we’d love to hear from you! Please contact us via email for the form below.